Extremely bright 5D light bar with brackets that are a perfect fit on a 1996 - 2002 Toyota 4runner and Tacoma. 5 year warranty. SOUTHEAST TOYOTA PROVIDED DRL AND FOG LIGHT SET. KIT IS DESIGNED FOR 2016-2019 RAV4, TACOMA, TUNDRA, HIGHLANDER AND 4RUNNER MODELS CURRENTLY WITHOUT FOG LIGHTS. Factory Toyota Dealer. 100% Authentic and genuine. 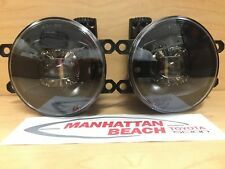 Toyota OEM Fog Light set 2017-2018 4 runner and tacoma,Highlander new. GENUINE OEM TOYOTA 4RUNNER LEFT DRIVER SIDE FOG LAMP HOLE COVER. TOYOTA 4RUNNER LEFT ( DRIVER SIDE ). 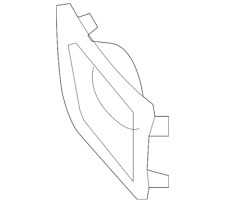 HOLE FOG LAMP COVER. TOYOTA FACTORY PART NO. VIN REQUIRED. 2001 Toyota 4Runner Base 3.4L V6 Sport Utility. 1999, 2000 Toyota 4Runner Base 2.7L L4 Sport Utility. 1999, 2000, 2001, 2002 Toyota 4Runner Limited 3.4L V6 Sport Utility. 1999, 2000, 2001, 2002 Toyota 4Runner SR5 3.4L V6 Sport Utility. 42 inch light bar. Extremely bright 5D light bar with brackets that are a perfect fit on a 1996 - 2002 Toyota 4runner and Tacoma. 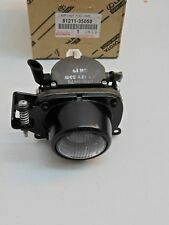 53124-35010 Toyota 4Runner LH foglight. Condition is New. Shipped with USPS Parcel Select Ground. Lens has light scratch that can be buffed. One tab on the bottom of the light is broken. See pictures for details. Shipping is fast and free! Up for grabs is (ONE) OEM Toyota 4Runner/camry fog light switch assembly. MISSING INDICATOR LENS. 2006-2009 TOYOTA 4 RUNNER. LH (DRIVER) SIDE. Model: TOYOTA 4RUNNER SR5 LIMITED TRD PRO SPORT TRAIL 4D SUV. 2019TOYOTA 4RUNNER SR5 LIMITED TRD PRO SPORT TRAIL 4D SUV. LED FOG LIGHT BLACK. PERFORMANCE LED FOG LIGHT. 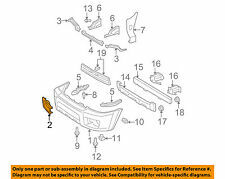 OEM Part Number: TOYOTA OEM PART NO. 42191. Left Fog Light (Driver Side). Used Fog Light - Scratches/Scuffs (see in photos). SOUTHEAST TOYOTA LED KIT FITS 2015 - 2016 4RUNNER RAV4 AND HIGHLANDER NON HYBRID MODELS. Factory Toyota Dealer. 100% Authentic and genuine. Scion FR-S. Land Cruiser. Model: TOYOTA 4RUNNER SR5 LIMITED TRD PRO SPORT TRAIL 4D SUV. 2019TOYOTA 4RUNNER SR5 LIMITED TRD PRO SPORT TRAIL 4D SUV. PERFORMANCE LED FOG LIGHT. 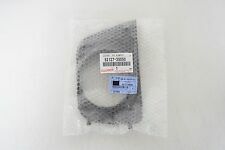 OEM Part Number: TOYOTA OEM PART NO. 42190. FRONT PASSENGER RIGHT SIDE.